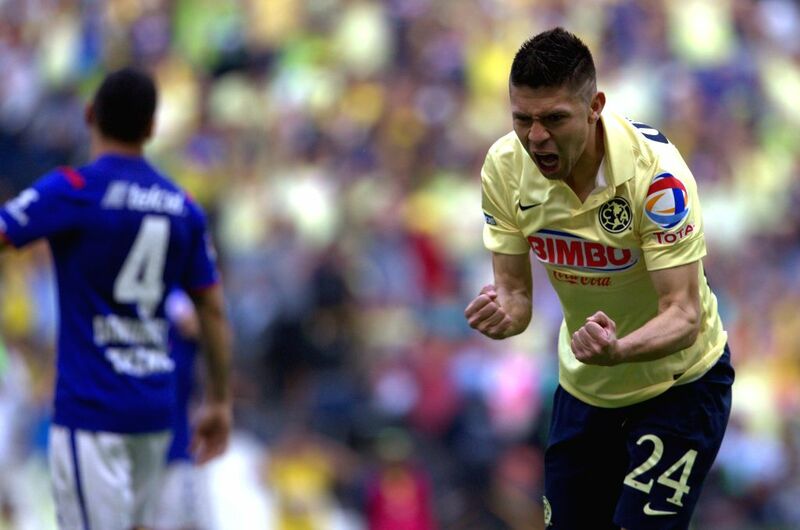 MEXICO CITY, April 5, 2015 - America's Oribe Peralta celebrates his score during the match of the 2015 Closing Tournament of the MX League against Cruz Azul, in the Azteca Stadium, in Mexico City, capital of Mexico, on April 4, 2015. America won the match. 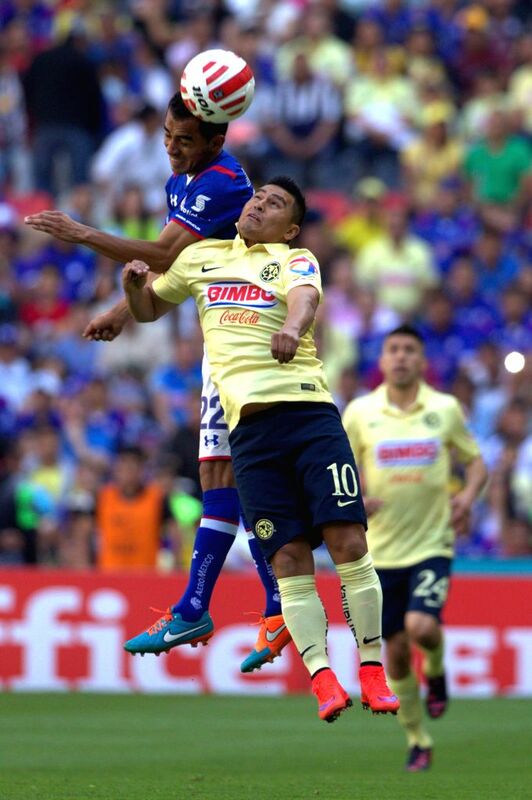 America's Osvaldo Martinez (bottom) vies the ball with Cruz Azul's Rafael Baca (up) during the match of the 2015 Closing Tournament of the MX League, in the Azteca Stadium, in Mexico City, capital of Mexico, on April 4, 2015. America won the match.